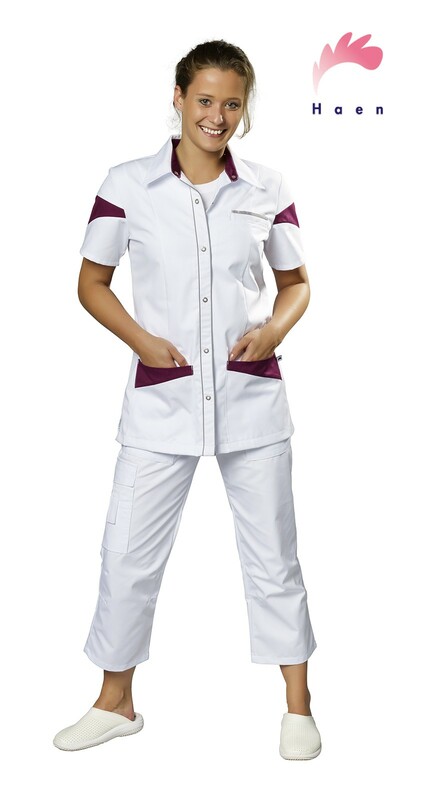 Nurse Uniform Teuni has a form fitting shape. 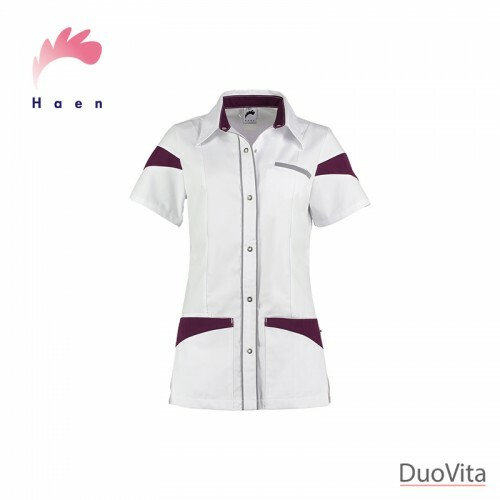 Nurse Uniform Teuni has a form fitting shape. 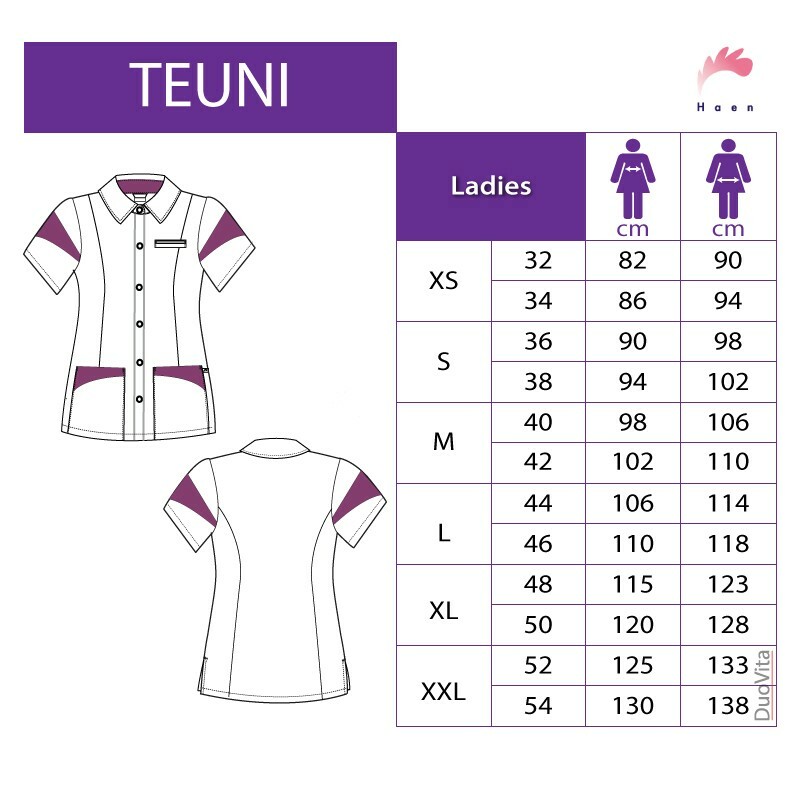 Teuni model stands out due the colourful detailing on the sleeves, pockets and central piping. Slits on both sides provide freedom of movement. 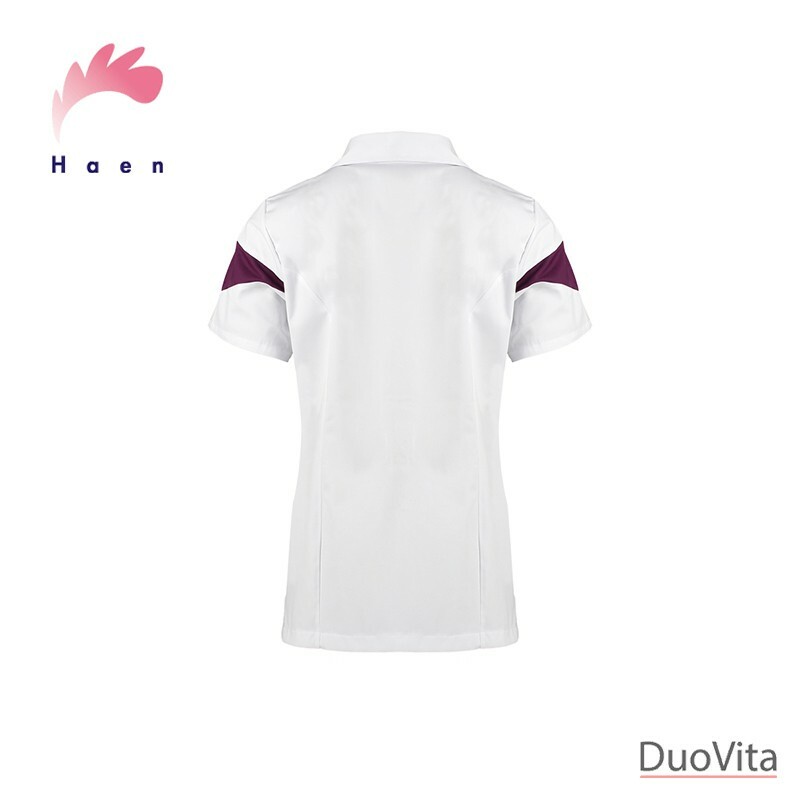 Due to the two patch pockets on the front you have all your utensils readily at hand. Snap buttons studs with piping.